Institutional Stockholder Services has made the recommendation that Sprint stockholders vote in favor of the proposed 70% acquisition by SoftBank out of Japan. Citing SoftBank’s track record in Japan, ISS says that the merger would bring “demonstrable and potentially critical technological expertise [to Sprint].” Japan’s number three carrier has been successful in its home market through aggressive pricing and infrastructure enhancements, reviving the former Vodafone carrier. The most compelling item that ISS noted however was that SoftBank’s offer brings sorely needed capital investment for the carrier to improve its network in the US and also poses the best options to pay down the debt burden that Sprint has been trying to pay against since it acquired Nextel. Stockholders will vote about the merger on June 12th. If the vote goes in SoftBank’s favor, the merger will close by July 1st assuming that a special committee of Sprint's Board of Directors does not have anything new to add from DISH's competing proposal. 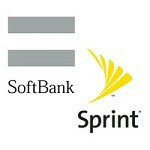 OVERLAND PARK, Kan. & TOKYO (BUSINESS WIRE), June 02, 2013 - Sprint (NYSE:S) and SoftBank (TSE: 9984) announced today that leading proxy advisory firm Institutional Stockholder Services (“ISS”) has recommended that Sprint stockholders vote in favor of the agreed merger between Sprint and SoftBank. “Given the strategic merits of the SoftBank transaction, the sales and negotiation process overseen by the board, the strength of the valuation relative to precedent transactions, and the market reaction, a vote for the transaction is warranted,” ISS concluded in its report to clients. In recommending that Sprint stockholders vote in favor of the proposed merger, ISS’s report, issued on May 31, 2013, noted that the SoftBank transaction addresses what the proxy advisory firm called Sprint’s most compelling need by alleviating its debt burden and providing important capital to complete the improvements to Sprint’s network which will improve its ability to compete in the US market. ISS also said SoftBank’s proven wireless track record in its home market would bring “demonstrable and potentially critical technological expertise” to Sprint. “SoftBank’s experience mastering this technology in building its own network—arguably the fastest network in the world—will be immensely helpful to Sprint as it is only beginning to focus on its own network improvements. With the knowledge and experience of SoftBank at its back, Sprint will be a stronger competitor with a fuller toolkit,” the report noted. Sprint and SoftBank are parties to the previously disclosed agreement and plan of merger, dated as of October 15, 2012, as amended. Consummation of the Sprint-SoftBank merger remains subject to various conditions to closing, including receipt of approval of the Federal Communications Commission and adoption of the merger agreement by Sprint's stockholders. Sprint and SoftBank anticipate the merger will be consummated in July 2013, subject to the remaining closing conditions and the effect of the actions of the Special Committee of Sprint's Board of Directors, which is currently in discussions and negotiations with DISH Network Corporation regarding the unsolicited proposal received from DISH in April 2013 or other developments with respect to such proposal. Sprint’s Board of Directors recommends its stockholders vote in favor of the transaction with SoftBank. SoftBank was established in 1983 by its current Chairman & CEO Masayoshi Son and has based its business growth on the Internet. It is currently engaged in various businesses in the information industry, including mobile communications, broadband services, fixed-line telecommunications, and portal services.